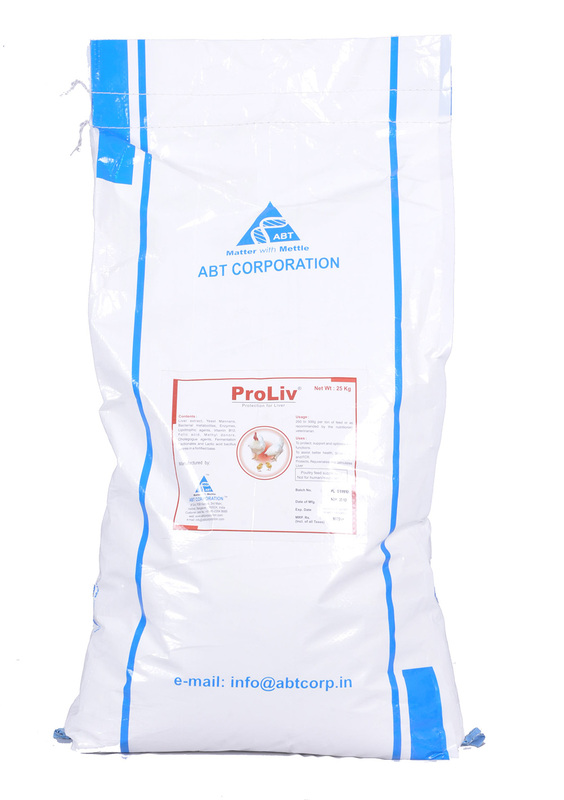 Proliv is a liver tonic that, protects liver from toxins, prevents fatty liver, regenerates liver cells and stimulates liver activity. Enzymes, yeast mannans, bacterial metabolites, lipotrophic agents, cholagogue agents, vitamin B12, folic acid, methyl donors, fermentation fractionates, liver extracts and lactic acid bacillus spores in a fortified base. 250 – 500 g per ton of feed or as recommended by Veterinarian/ Nutritionist.